Robert E. "Bob" Lee, a rancher from Judith Gap, Montana, and respected leader in the agricultural community, will receive an honorary doctorate in animal and range sciences from Montana State University during the university's spring commencement, set for May 9. Lee will deliver the charge to graduates at both the morning and afternoon commencement ceremonies. Lee and his wife, Kathy, own and operate the Robert E. Lee Ranch Company, a diversified cattle and grain operation located in the foothills of the Snowy Mountains in central Montana. The ranch has been recognized for its approach to managing its natural resources, including rangeland and water resources. It is also well-known for the tours it offers to groups from across the state and nation, as well as around the globe. "Mr. Lee has a distinguished record of service, and he has repeatedly demonstrated his commitment to education through sharing what he has learned at his ranch with thousands of others," said MSU President Waded Cruzado. "His leadership in the agricultural community is respected in his community, across the state and nationally, and Montana State is privileged to recognize him with the highest commendation the university confers." 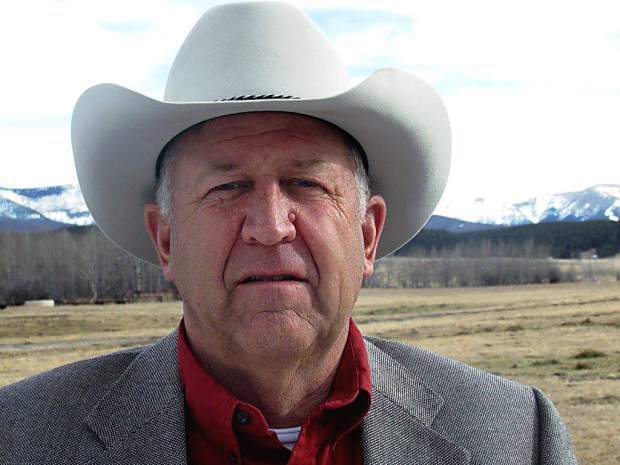 Lee served as chairman of the Montana Board of Livestock from 1999-2005, as well as chairman of the Montana Grazing Lands Conservation Initiative steering committee and Montana Governor's Rangelands Resource executive committee. He has also served on the Natural Resources Conservation Service State Technical Committee, on the Montana Range Days Steering Committee Board of Directors, and as a member of the MSU President's Advisory Board. Lee was instrumental in creating an Advisory Committee for the MSU Department of Animal and Range Sciences and served as chairman of the committee for approximately seven years. He also helped start and is a member of the Judith Gap Range and Pasture group, a group of producers committed to helping each other. On a national level, Lee has served as chairman of the National Cattlemen's Beef Association (NCBA) Property Rights and Environmental Management Committee, as well as on the National Grazing Lands Conservation Initiative steering committee. Lee's honors include receiving a national Environment Stewardship Award from the NCBA and being name Range Man of the Year by Montana Rural Area Development. He received a Distinguished Service Award from the Montana Stockgrowers Association, is in the Montana Range Days Hall of Fame, and was named Montana State University Agriculturalist of the Year in 1995. Lee attended MSU Northern, but was drafted two months before graduation and spent six years serving the country in the Air National Guard. Lee and his wife have three grown children. All three attended and graduated from MSU. For more information about MSU's spring commencement, visit http://www.montana.edu/commencement.